You are currently browsing the tag archive for the ‘Felicity Lott’ tag. Wishing a very happy eightieth birthday to the wonderful Welsh bass, Gwynne Howell! Howell has appeared with the Chicago Symphony Orchestra on a number of notable occasions and on several award-winning recordings between 1974 and 1990. A complete list is below (concerts at Orchestra Hall, unless otherwise noted). The opera was recorded at Medinah Temple on May 21, 22, 23, and 24, 1979. 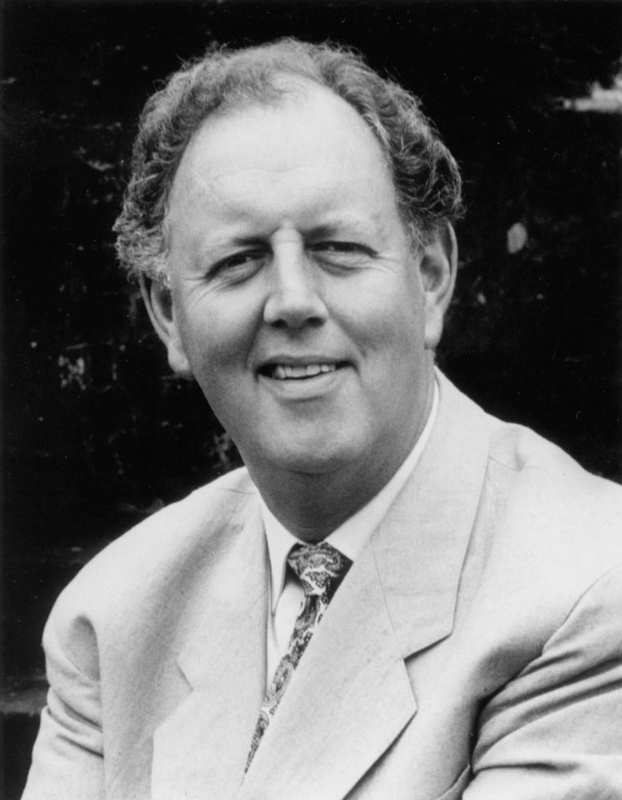 For London Records, Ray Minshull was the producer, Michael Haas was the assistant producer, and James Lock, David Frost, and Tony Griffiths were the engineers. 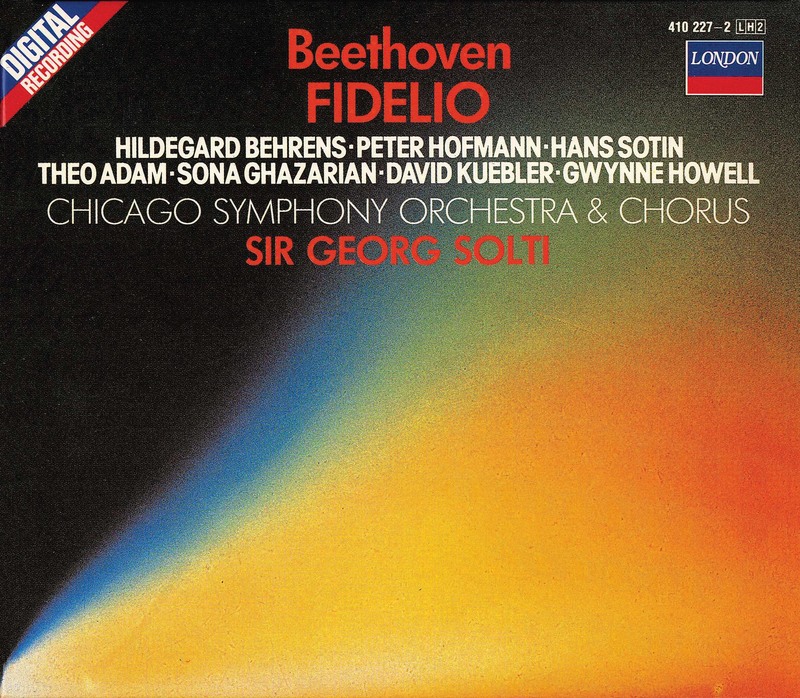 The work was recorded in Orchestra Hall on October 1, 2, and 9, 1984. For London Records, Ray Minshull was the producer, and James Lock and Simon Eadon were balance engineers. 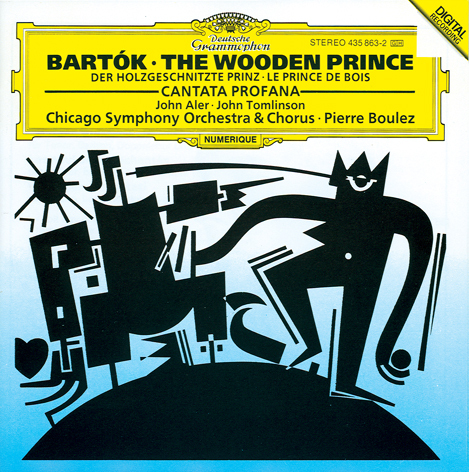 The work was recorded on January 25, 26, and 28, 1990, in Orchestra Hall. For London Records, Michael Haas was the recording producer, and Stanley Goodall and Simon Eadon were the balance engineers. 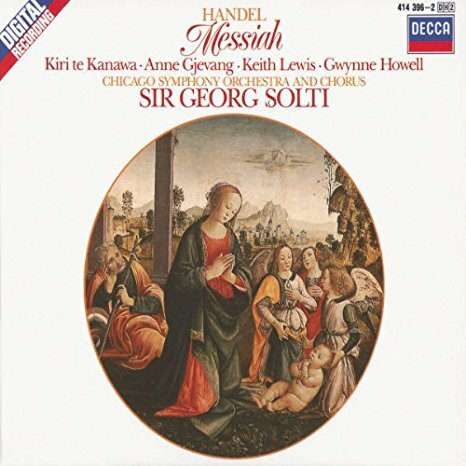 The recording won the 1991 Grammy Award for Best Performance of a Choral Work from the National Academy of Recording Arts and Sciences. Check out the video below, produced by Wild Plum Arts, in which Howell talks about working with Solti and many others. 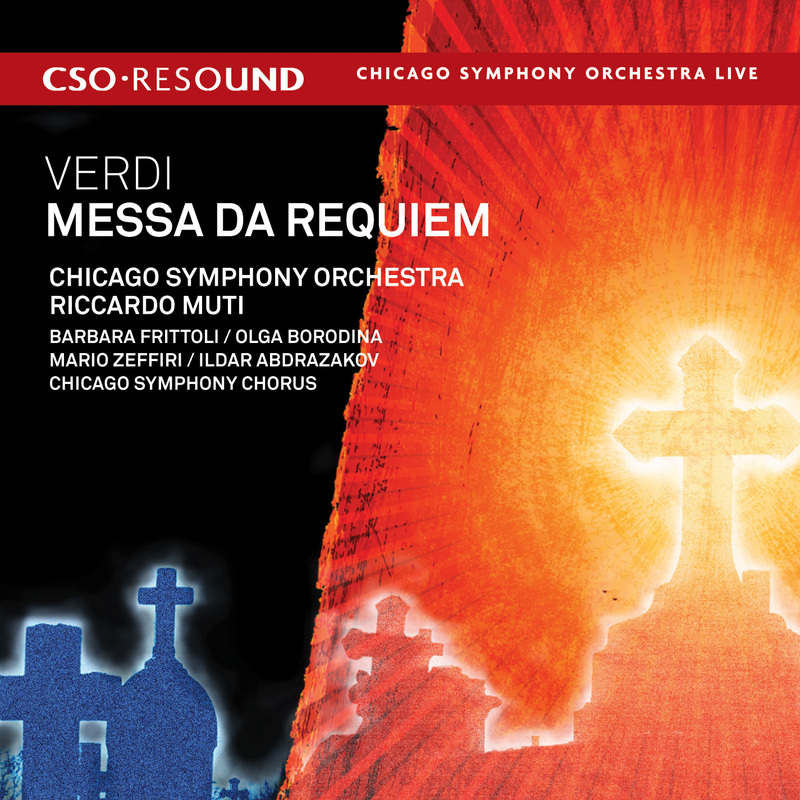 Recordings have been led by music directors Sir Georg Solti and Riccardo Muti, principal guest conductor Pierre Boulez, and Ravinia Festival music director James Levine on RCA, London, Deutsche Grammophon, and CSO Resound. *The name of the category has changed slightly over the years; see here for details. There were multiple cast changes due to illnesses, both before and after the programs were printed. About a week before the performances, George Shirley replaced Peter Schreier. 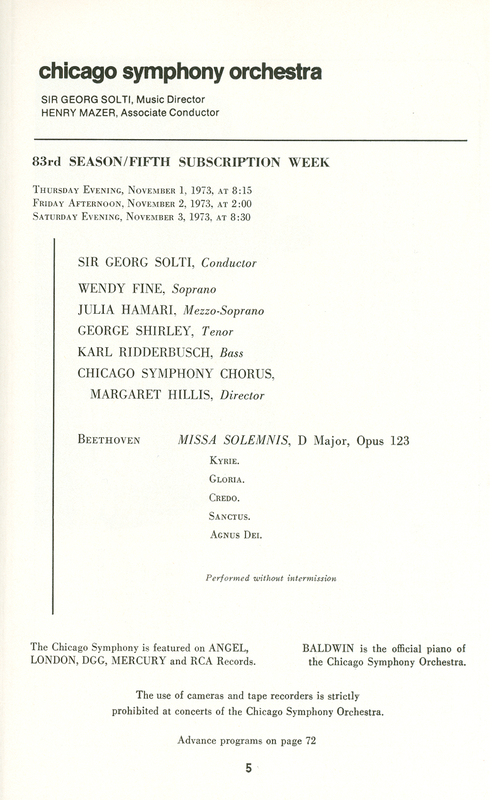 Karl Ridderbusch was replaced the day before the first performance by Theo Adam, who was in town for Wagner’s Siegfried at Lyric Opera; he sang the first two performances and Thomas Paul sang the third. Following the first performance, Wendy Fine was replaced by Sarah Beatty. 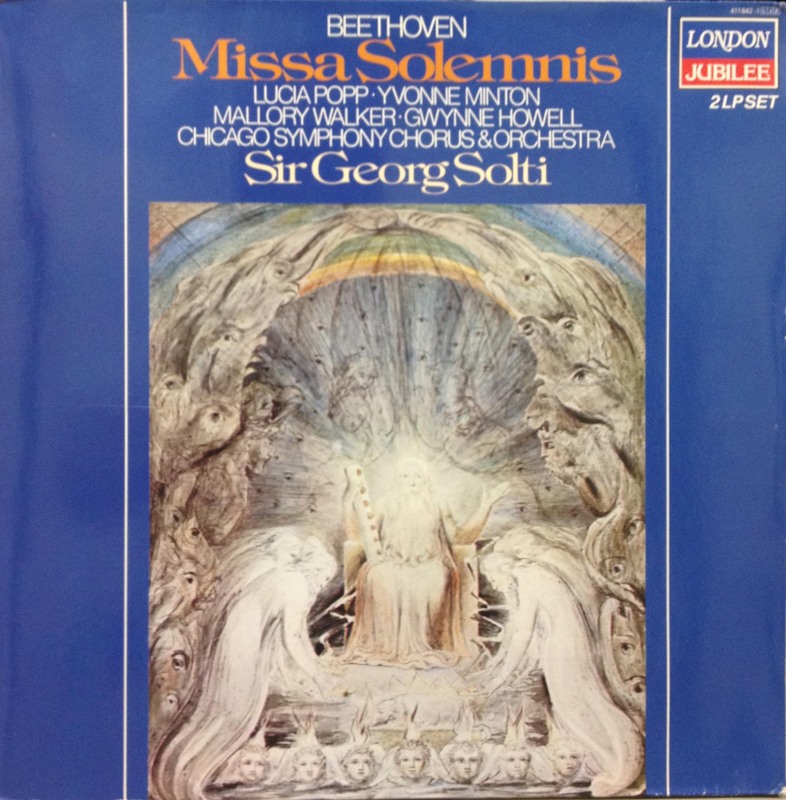 Following the Carnegie Hall performance, the work was recorded for London Records with multiple sessions in Chicago’s Medinah Temple. Ray Minshull was the producer and Kenneth Wilkinson, John Dunkerley, and Michael Mailes were the engineers. 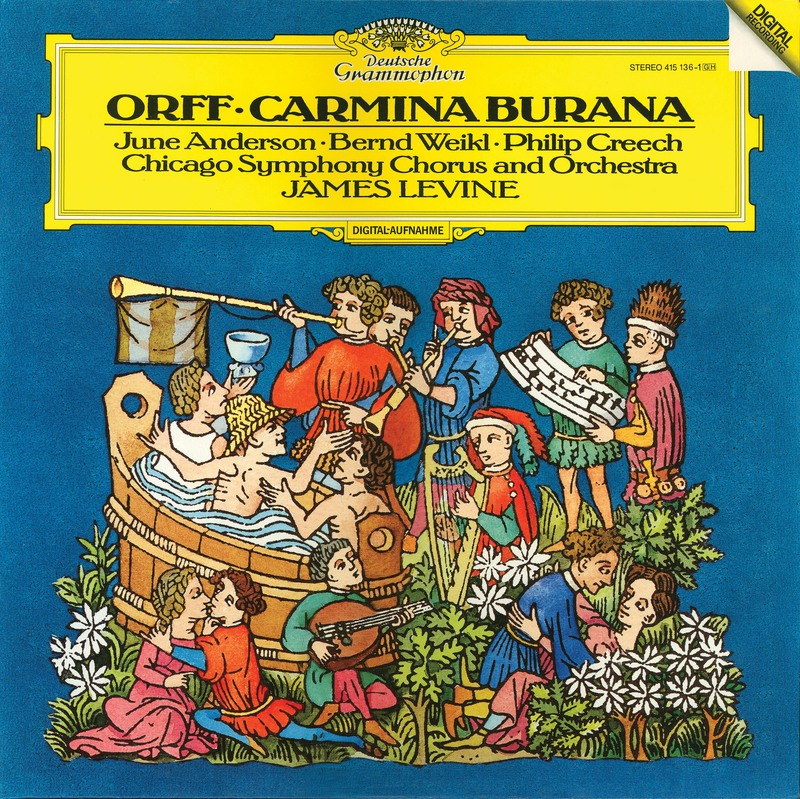 The recording won the 1978 Grammy Award for Best Choral Performance, Classical (other than opera) from the National Academy of Recording Arts and Sciences. Available reviews are here (1973), here (1977), and here (1984). 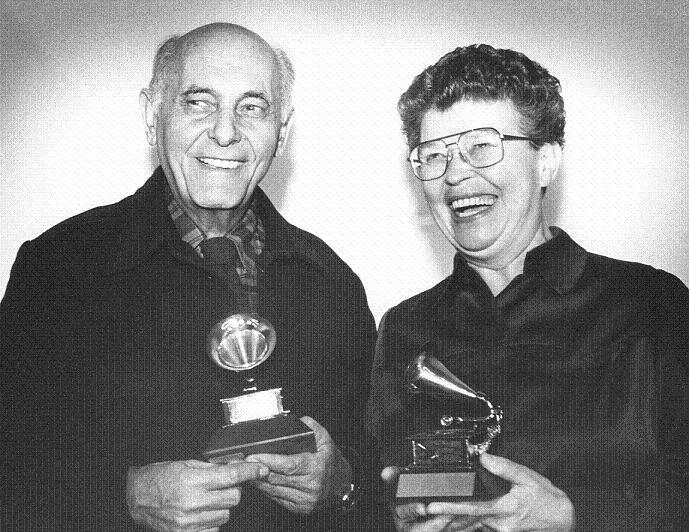 Solti and Margaret Hillis show off their 1986 Grammy Awards for Liszt’s Faust Symphony and Orff’s Carmina burana. 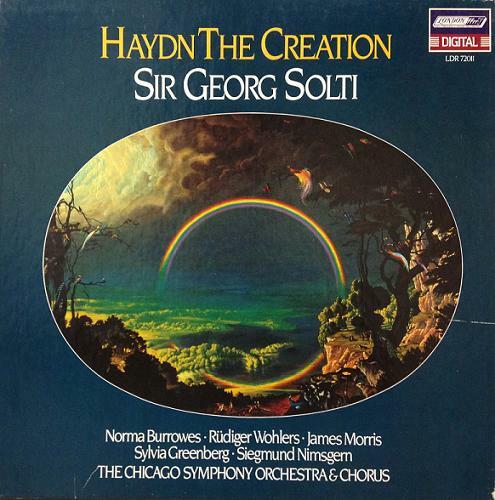 Sir Georg Solti won thirty-one Grammy Awards from the National Academy of Recording Arts and Sciences—more than any other recording artist. 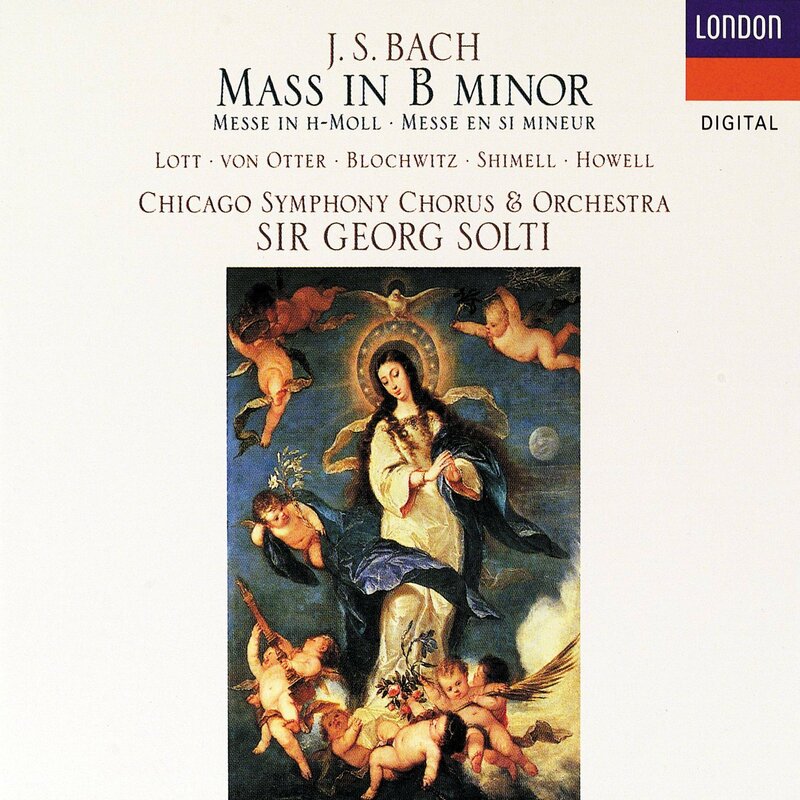 Twenty-four of those awards were with the Chicago Symphony Orchestra and Chorus. 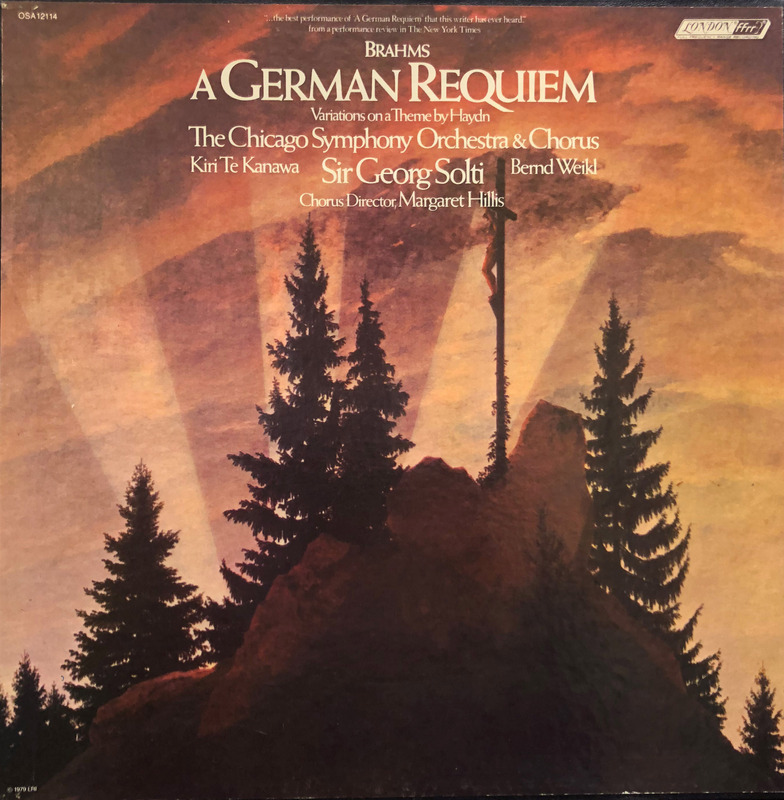 In addition, Solti and producer John Culshaw received the first NARAS Trustees’ Award in 1967 for their “efforts, ingenuity, and artistic contributions” in connection with the first complete recording of Wagner’s Der Ring des Nibelungen with the Vienna Philharmonic. Sir Georg also received the Academy’s 1995 Lifetime Achievement Award. 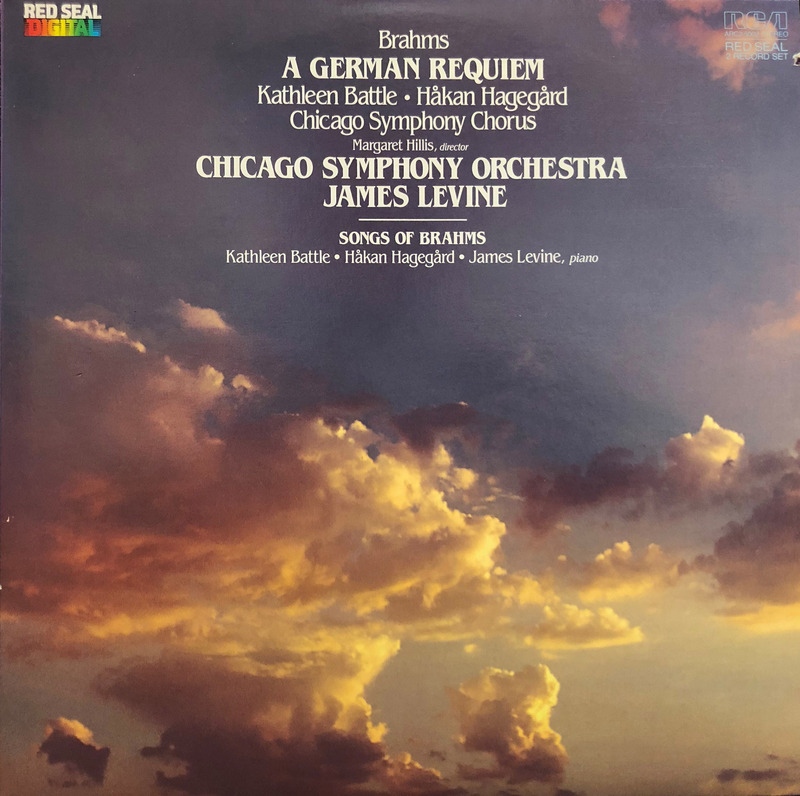 Alison Krauss and Quincy Jones tie for the number two slot with twenty-seven awards each, and Pierre Boulez—CSO conductor emeritus and former principal guest conductor—is number three, with twenty-six Grammy Awards, including eight with the Chicago Symphony Orchestra and Chorus. 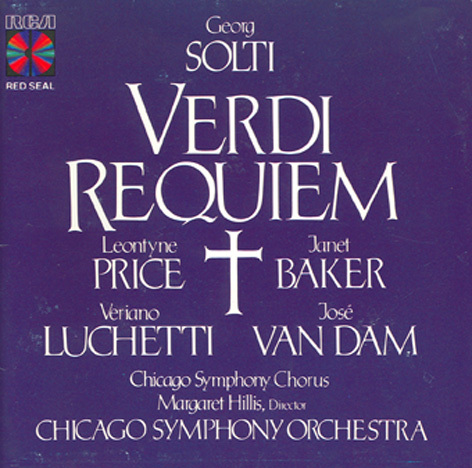 This recording actually tied with the soundtrack for Verdi’s La traviata with James Levine conducting the Metropolitan Opera Orchestra; principal soloists Teresa Stratas, Plácido Domingo, and Cornell MacNeil. *A database of former Grammy Award winners can be found here; category titles have changed over the years. 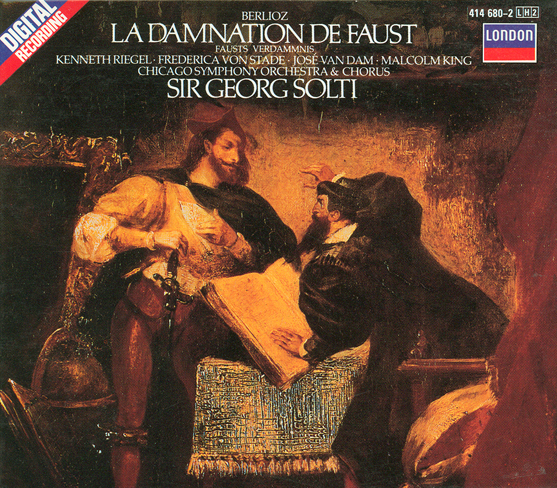 For opera recordings, only principal soloists are listed.